The Unite desktop App requires a Mac or PC for download. Get the most out of your Intermedia Unite experience by downloading and installing the complimentary desktop and mobile apps. 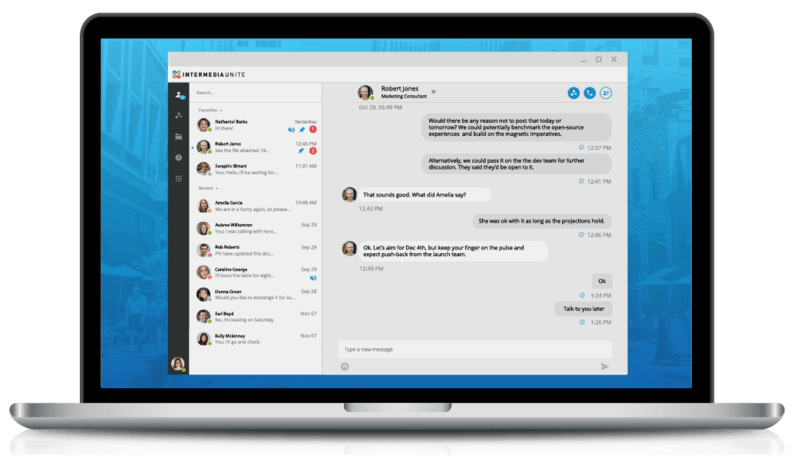 With these apps you can see who is available, chat with colleagues, place and receive calls, share screens, start video calls and share files—all from one application—in the office or on-the-go. Just download the apps below to get started. To learn how to use your new apps, get our end user Get Started Guide here. The Unite Desktop app brings all your essential collaboration tools together, making teamwork easier than ever. Boost productivity and visibility for receptionists and administrative assistants with Receptionist View. 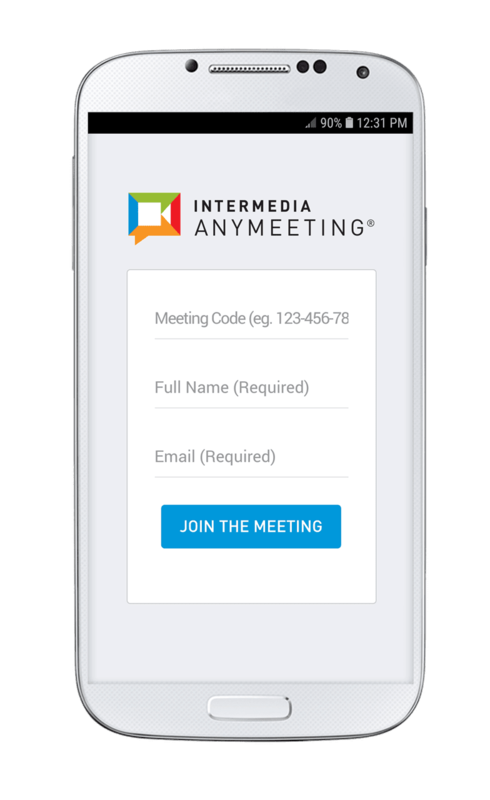 The Intermedia Unite Mobile App transforms any Android™ or Apple® smart phone into an essential collaboration tool. 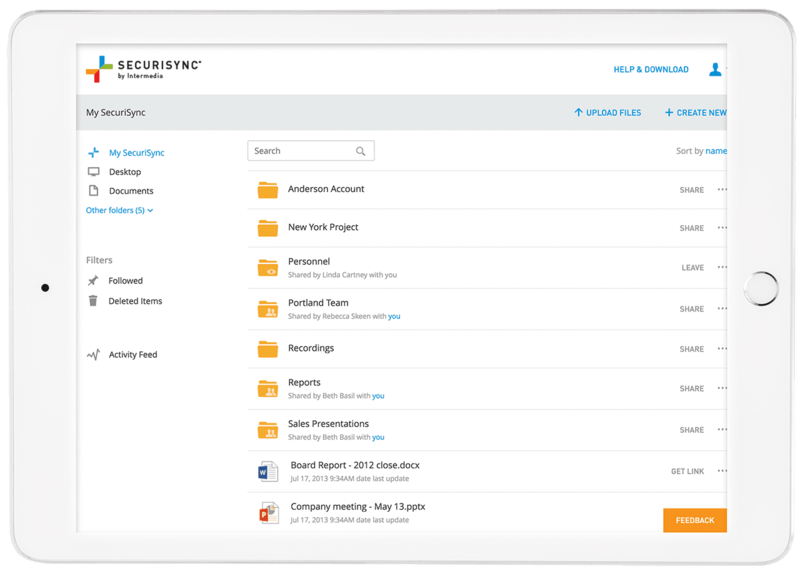 Intermedia Unite includes SecuriSync backup and file sharing allowing your business to easily and securely share files, co-edit in real time and access anything on the go. This can be downloaded to your desktop and mobile device below. Join AnyMeeting video Conference from your mobile device on the go. Conduct face-to-face AnyMeeting video conferences wherever you are. Available on both iOS & Android devices. 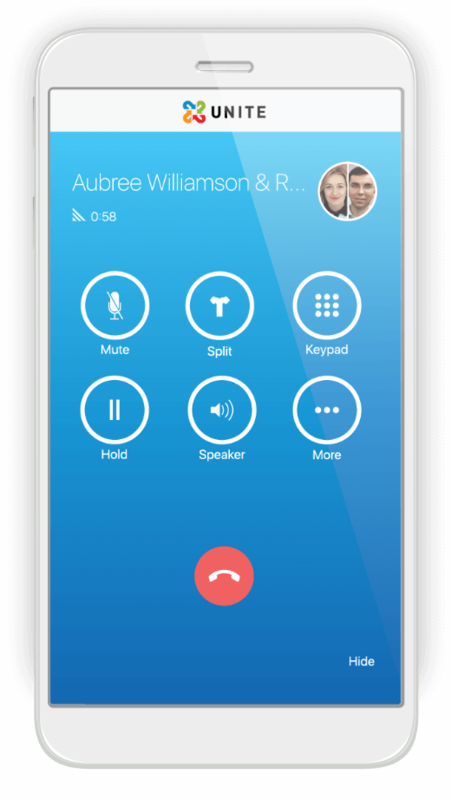 In the Unite Desktop App, AnyMeeting is also available on the Meeting Tab, your personal meeting URL and audio conference dial-in number is presented. Just click "Enter my Meeting" to start a new video conference/screen share instantly.